Durst, in the acknowledgements of this book, lists authors such as Tamora Pierce, Anne McCaffrey, and David Eddings. 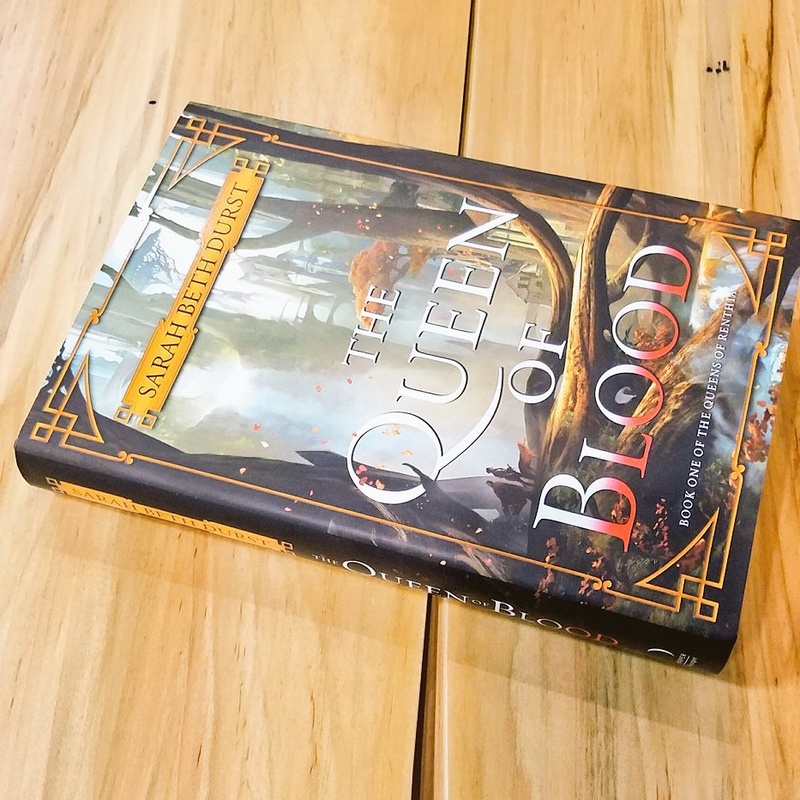 I can’t remember if she mentioned The Blue Sword or The Hero and The Crown, but her writing style definitely reflects her influences as well as Robin McKinley in my mind. It’s a rather simple prose, but the world and characters carry the book. I was enchanted from the prologue, in which, the author tells of children participating in a a jump rope like game, singing a song which warns of the elements.It’s a magical, dark world. Fantasy often makes the a person the villain now, but in this book, it goes back to an older tenet, the fight against nature. Even now, with all our technology, we fight storms of all kinds. And so, this book is rather clever. It is reminiscent to me of the Fae, beautiful and terrible and true. The sprites are rather fascinating. And in a world where there is a constant battle between humans and nature, a single woman brings about balance, or is supposed to. But like the synopsis says, a queen is still human, as are all the heirs that could possibly replace her. As well as the champions that choose them. The main character, Daleina, is not powerful. But she is smart, resourceful, and kind. I am glad to see a character who isn’t a natural, who has to work for her power. It makes her relatable. However, she’s almost too good, too smart, too kind. She doesn’t have that one flaw, or really any flaw other than been too good. However, nearing the end of the book, I felt a tremor of change. I think the author might have been leading us to this, or maybe that’s just my hope. I’m excited to see what the conclusion of the first book does to shape the character in the future. As I said before, the prose is simple, which made it a lighter, pleasant read, even when the subject matter was rather heavy. Ven, the other ‘main’ character was probably my favorite, if only because he was very flawed, but in a charming way. He was a bit of that typical, sarcastic rogue wandering the forests, but I’ve always loved such characters so I can’t be too upset by it. Durst swaps between Ven, Daleina, and sometimes other characters to give us more of the omniscient view of the world, while still holding somethings back. I think this method really helps to keep you from ‘getting tired’ of the characters. You wouldn’t want too much of the goodness of Daleina, or cynicism of Ven. The other thing that is a bit different about this, though I have seen it before, are several jumps in the timeline. I do feel like I lost some things that would have been nice for character development, but I can see where it was necessary for progression. All in all, it was a great book. I would definitely recommend to those who like things about the Fae or elves, though the dark kind. Not the sweet ones who fix shoes and such. I also would recommend to any McKinley or Pierce fans (like myself). Can’t wait for the next book!